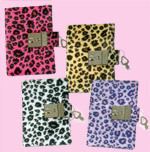 Glitter flasks come in Leopard, Bubblegum Pink or Black. Stainless steel interior. Use to carry your beverages. Oval stainless steel badge on front is perfect for engraving your personal flask with your initials. 6 fluid oz. size. 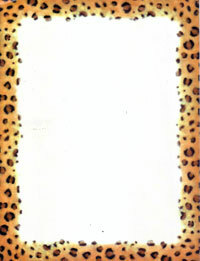 Blank sheets of ivory glossy stationery with cheetah-licious border! 81/2 inch x 11 inch sheets of glossy leopard cheetah stationery paper are perfect for writing letters or creating invites for events befitting of a spotted diva, announcements or cheetah girls parties! Need a cheetahlicious card enclosed? We’ll provide it in an envelope. Cheetahlicious card and plain white envelope will be sent blank. If this is a gift purchase, then under the prompt “Special Instructions” on order form, tell us what you want to write on envelope and inside card. No gift bag is complete without a cheetahlicious pencil with an eraser. Sending someone a present(s)? We’ll send the present(s) gift -wrapped in cheetah paper and bow. This service is offered only for presents going to a different shipping address than the billing address supplied. Pink cheetah princess style headband is tres femme for a true cheetah girl. Twice the pink cheetah: made in both a cotton fabric or a fuzzy faux fur fabric. 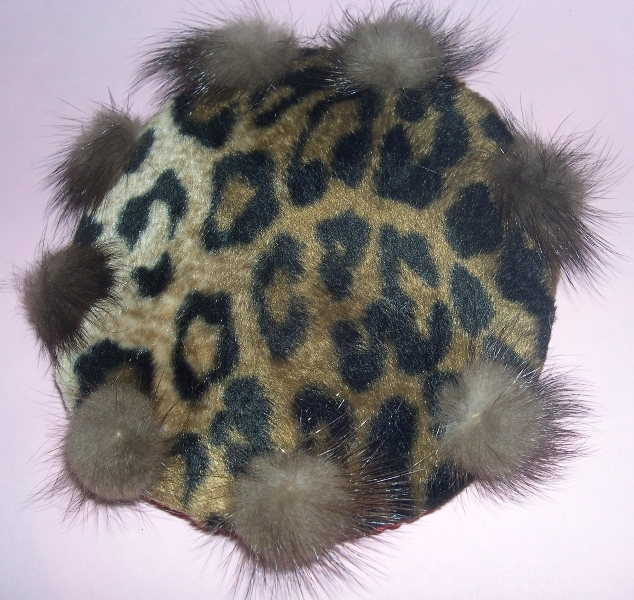 Jungle brown cheetah princess style headband is natural for a true cheetah girl. Twice the jungle brown cheetah: made in both a cotton fabric or a fuzzy faux fur fabric. We love zebra almost as much as cheetah: These handcrafted headbands are black and white faux fur zebra-licious. Handcrafted by Deborah Gregory of Cheetahrama. They’re spicier than hot sauce and as cool as iced cappuccino. The Cheetah Girls outshine any diamond with their supa-dupa inner sparkle! 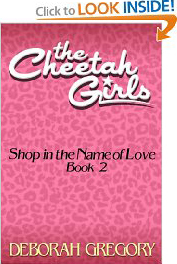 Now see how it all began in the first books of the series starring Galleria, Chanel, Dorinda, Anginette, and Aquanette. Each bind-up features four Cheetah-licious tales about girls having guts, brains, courage, and friends (while flashin’ some style and always shining from the heart).